See how you can show off your style by sending us your best fashion photos. GQ recently named Philadelphia the 6th worst-dressed city in America and New Jersey didn’t do much better coming in at 19. So it’s time to prove them wrong! NBC Philadelphia is looking for the most fashion-savvy people in the tri-state area. We’re debuting a new fashion feature in The Scene called “That Girl, That Guy.” Our two fashion gurus will select the most fashionable men and women in our area to be featured on our website. They’ll also share their fashion insights. 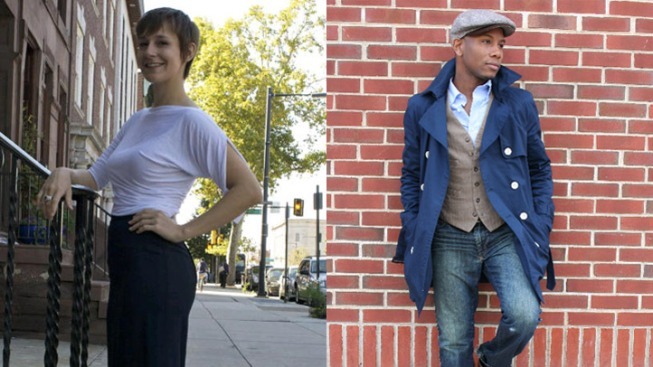 Our fashion gurus are Sabir Peele and Catriona Whitehead. In September 2010, Sabir, a Philly native, was featured in “Esquire Magazine” as one of the five “Best Dressed Real Men in America.” He was the fan favorite for that competition. Currently, Sabir is the author and creator of the website “Men's Style Pro” where he offers style tips and consultations. Catriona is a personal shopper for JCrew where she works with clientele to help them put together entire outfits, utilizing items from both JCrew as well as items customers bring from home. Before moving to Philadelphia, Catriona worked at “Designer Resale,” a secondhand designer clothing store in Maryland. She also worked with local designer Paula Hian and worked under local “Wardrobe Wizard’s” CEO, Julie Rome. If you think you have what it takes to be featured in our “That Girl, That Guy” gallery, as well as our weekly profile, send your pictures to thatgirlthatguy@gmail.com.